Sarah is a business development professional with extensive experience fostering innovation and developing strategic business operations. Over the past six years, Sarah has successfully created an innovation office at York University that provides a myriad of services across the university and has grown the team to 17. She has created and grown a pan-university educational entrepreneurship program, developed and manages two start-up incubators; and developed and manages an 8000 square foot innovation centre, YSpace, as a strategic step in the development of a new campus. In addition, Sarah is co-lead for the strategic development of innovation and entrepreneurship across the York University campus. Nilay is the Entrepreneurship Manager at York University and manages York University’s Entrepreneurship program: LaunchYU. Previously, Nilay was the Founding Associate Director of the Creative Destruction Lab accelerator at University of Toronto, he founded the semiconductor verification product division at e-Infochips Inc. and led its acquisition by Cadence Design Systems, and led the Canadian operations for SkyQuest Technology Group, a global IP-based accelerator, research & investment bank. He has also worked as a management consultant in various industries including technology, healthcare and fashion and luxury goods. He has worked with various startups while helping them with their long term strategy, fund raising, and scaling operations. Aïko is the founder and CEO of InFounders, an organization that runs masterminds for entrepreneurs. She is also the Program Director for SHAD, an award-winning enrichment and entrepreneurship program for youth. Aïko has been active in the New York and Toronto startup space, building her own ventures and mentoring entrepreneurs. She is closely knit to the local startup community, lecturing at universities, speaking at meetups, and participating in the organization of events such as Propelify (one of the largest NY innovation events), Startup Weekends, and the Women Techmaker Conference. She is also a startup mentor and the founder of Toolmuse, a tech startup. Elliott is Co-founder of Opilio Labs, a new company capitalizing on the growth and excitement around the Internet of Things. His passion for entrepreneurship and education allows him to split his time between helping organizations grow their people and revenue and developing our leaders of the future. 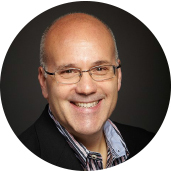 Elliott is also a Professor in the School of Marketing at Seneca College focusing on Sales, Marketing and Entrepreneurship. He currently helps young entrepreneurs start and grow their new businesses as a Business Coach and Lead Mentor at HELIX, Seneca’s on-campus business accelerator program. Elliott founded and built a place-based media business, AddMirror, which has grown to include locations in Montreal, Toronto, Calgary and Vancouver. 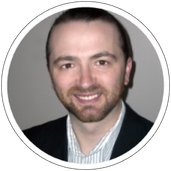 He has over 10 years of experience working with Agencies and brands across Canada. Prior to founding AddMirror, Elliott held sales and sales leadership positions at leading technology companies including Microsoft, Dell and Sprint. Elliott holds an MBA in Marketing from the Schulich School of Business and a BASc in Electrical Engineering from the University of Waterloo. 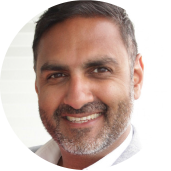 Mick Bhinder is the CEO & Founder of IAmI Authentications, Inc. (“IAmI”), a Canadian based cybersecurity company. 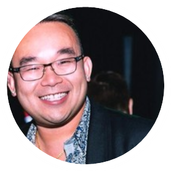 After many years of experiences, having worked in the financial services sector (Amex, Discover Financial Services, Visa and TD Bank), Mick began his entrepreneurial journey over 7 years with two prior startups before IAmI. Bhinder has always been front and centre at the crossroads of modern technologies and securing private & sensitive data. Over the years, Bhinder has excelled in developing a deeper set of knowledge and experiences in the prevention of cyber threats & risks, fraud and cyber data exploits. Bhinder prides his newest initiative around completely changing user experiences - through instinctive intelligent empowerment. Keith is the Co-Founder & Chief Revenue Officer of CTO Boost. Keith’s passion is to empower businesses to reach their full potential. Keith has over 20 years of sales, marketing, and product experience ranging from startups to global enterprises with a focus on business transformation. As co-founder and Chief Revenue Officer at CTO Boost, Keith stimulates companies and industry leaders to excel with data-driven innovation that makes sense. His company helps Scale-ups grow from $5M to $100M as well as help global enterprises transform. He is also an Entrepreneur in Residence at Haltech Regional Innovation Center and works with Startup Grind Toronto advising high potential tech startups on business strategy and go-to-market plans. 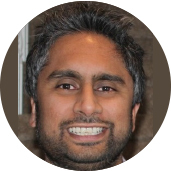 Keith has an MBA at the Schulich School and has worked with companies such as Microsoft, Logitech, HP, Apple, and other large tech firms. Navin Kaminoulu is the Co-founder and Chief Operating Officer for indus.ai Inc. He leads the strategic direction and operations for the construction industry’s first artificial intelligence powered start up. The company is headquartered in San Francisco with R & D in Toronto. He is an experienced serial entrepreneur who previously led various Internet and technology early stage organizations to accelerated growth. He has deep industry expertise in software, product development and operations. 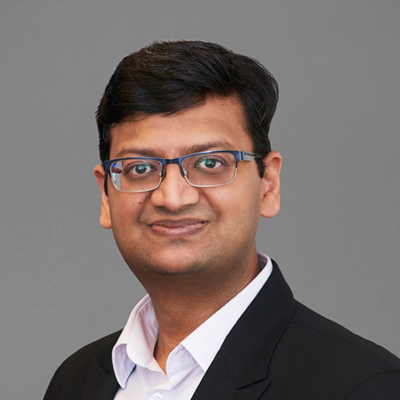 Navin co-founded indus.ai and prior, he held the position Head of delivery and partnerships at GreenOwl Mobile where he was responsible for scaling the firm 2 – 25 employees, 50+ enterprise clients, and 300% revenue growth within 2 years. He has also held senior leadership roles in banking, finance, management consulting, and the public sector, which has helped him master a broad spectrum of domain and corporate experience. He is a graduate of the University of Western Ontario with degree in Mathematics and liberal arts. He also has been a project management professional (PMP) for nearly 15 years. Mr. Slava Apel has been in Print, Marketing and Technology industry for over 20 years and brings with him many business successes. In his career, Slava has founded a marketing company, order automation company, order fulfilment and has been a part of multiple technology start-ups. Mr. Apel’s experience comes a wealth of knowledge in helping companies monetise their businesses, products and ideas in both B2B and B2C spaces. Mr. Apel actively mentors and invests in start up companies. Mr. Apel’s main expertise covers: Print Industry, Direct Marketing, App Development, Sales Training, Startups, Business acceleration, Online Marketing, Automation Software and Cloud-based Software. Mr. Apel was in 2018 nominated by EY as an Entrepreneur of the Year. He has authored two books, one on cloud technologies and one on online sales and he writes for 5 industry magazines. He is also Voted as one of top 35 Most Influential Canadians in Print Industry by Print Action Magazine. Apart from this, he has won multiple awards and accolades over his highly accomplished career. 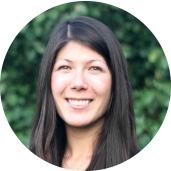 Veronica is an award winning marketer with 8+ years experience and Co-Founder & CMO at Aerialytic; a company on a mission to amplify solar adoption with AI. Prior to becoming a Co-Founder & CMO at Aerialytic, she worked for other startups and Fortune 200 companies. 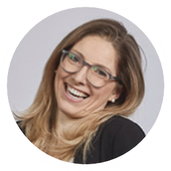 She has been fortune enough to oversee multiple product launches across Canada, US and Europe where she learned a few tricks along the way to make the process as lean and fruitful as possible. In addition to initially identifying who the customer and acquisition channels are, Veronica believes that providing an optimal customer experience is one of the most important things to retaining your customer and growing a high customer lifetime value. 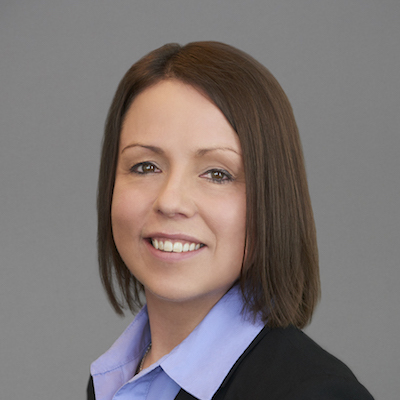 Her experiences also include supporting projects that focus on retention and loyalty such as developing and optimizing customer journey mapping, marketing automation, CRM implementation and referral and loyalty programs. A highlight of her career also includes implementing one of the first 'Shop Online & Pick Up In-Store' programs for Henry's Camera where she won an Award from the Retail Council of Canada.